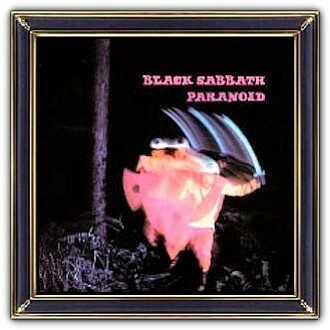 The album was originally titled War Pigs, but allegedly the record company changed it to Paranoid, fearing backlash from supporters of the ongoing Vietnam War. At the time, the band felt that the song was lighter, with the potential to become a single. 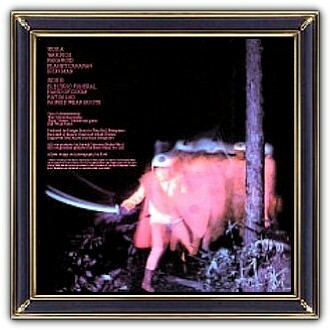 The album cover features a man in red with a sword. Ozzy Osbourne states in 'I Am Ozzy' that the name change had nothing to do with the Vietnam war and was entirely due to the record company deciding the album would be easier to sell if it was named after the single, which had already had significant success by the time the album was released, reaching number 4 on the UK Singles Chart. The original UK vinyl release was in a gatefold sleeve. The inner of the gatefold had a black-and-white photo of the band, posed outdoors on a grassy hill, and was their first appearance on album artwork. 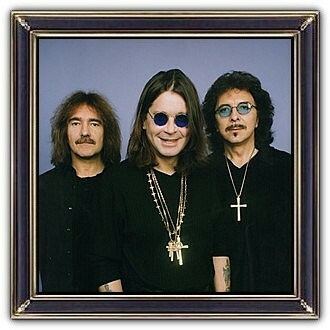 To spread the original picture over the gatefold, Ozzy Osbourne was separated from the other members of the band and a section of the grass was copied and dropped into the gap. Black Sabbath is an English rock band, formed in Birmingham in 1968. The group soon began incorporating occult themes with horror-inspired lyrics and tuned-down guitars but also composed songs dealing with social instability, political corruption, the dangers of drug abuse and apocalyptic prophecies of the horrors of war. Osbourne's regular abuse of alcohol and other drugs led to his dismissal from the band in 1979. The original line-up reunited with Obourne in 1997. Black Sabbath are often cited as pioneers of heavy metal music with releases such as Black Sabbath (1970), Paranoid (1970) and Master of Reality (1971). They were ranked by MTV as the 'Greatest Metal Band' of all time.